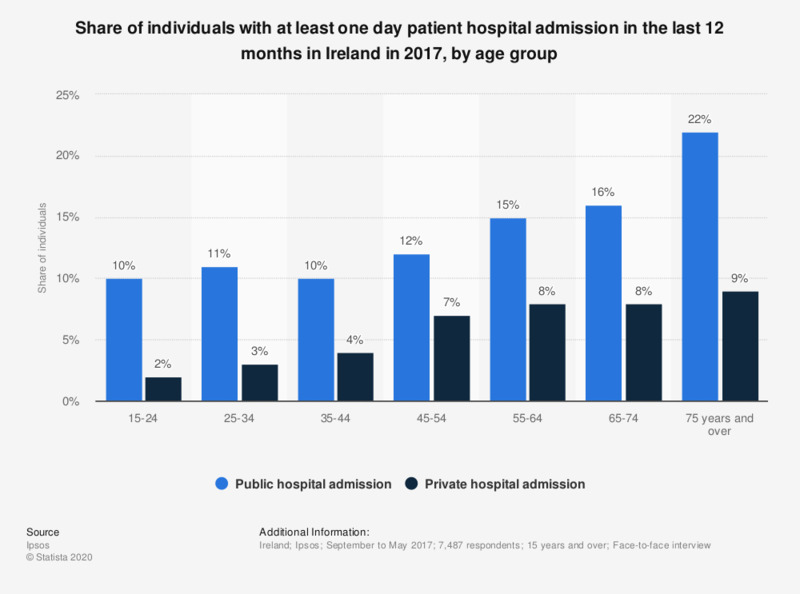 This statistic displays the share of individuals with at least one day patient hospital admission in the last 12 months in Ireland in 2017, by age group. In 2017, it was found that 22 percent of the respondents in the age group of 75 years and over reported they were admitted to a public hospital as a day patient at least once in the previous 12 months. How would you evaluate your overall state of health? How would you evaluate your overall state of physical health? What are your main sources of health information?